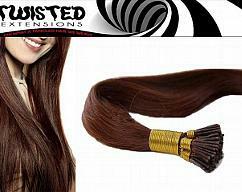 This set consists of 40 tape in extensions (100 grams of hair) and is made from the finest quality of Virgin Remy Hair. 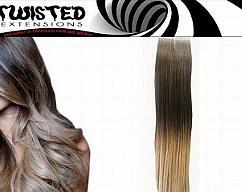 They are easy to install, easy to remove and are the most seamless hair extensions on the market today. 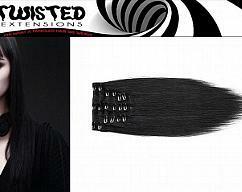 Each piece is custom made to order. 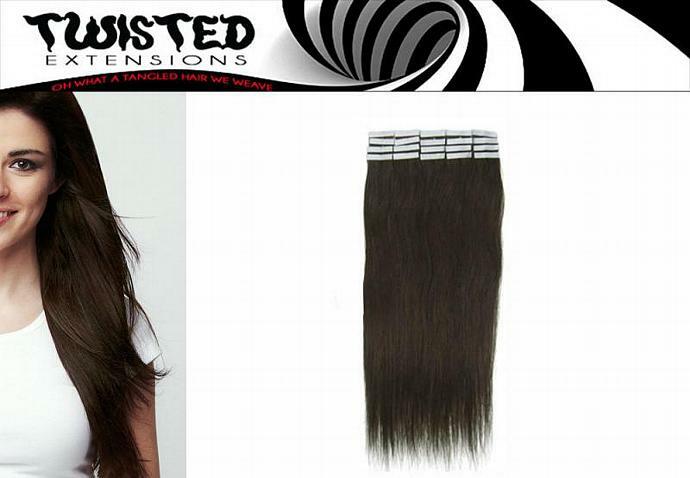 While, for the most part, this hair can be treated just like your own, it is important to keep in mind that even the finest quality of human hair extensions requires a little extra TLC as the extensions don't produce the natural oils your own hair does. *Custom orders are always welcome. Please feel free to contact me with them or with any other questions you may have. 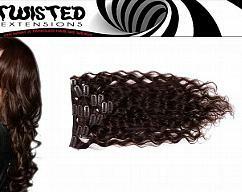 22" Full Head Clip In Curly Human Hair Extensions - Your Choice of Natural Color - FREE SHIPPING within the U.S.